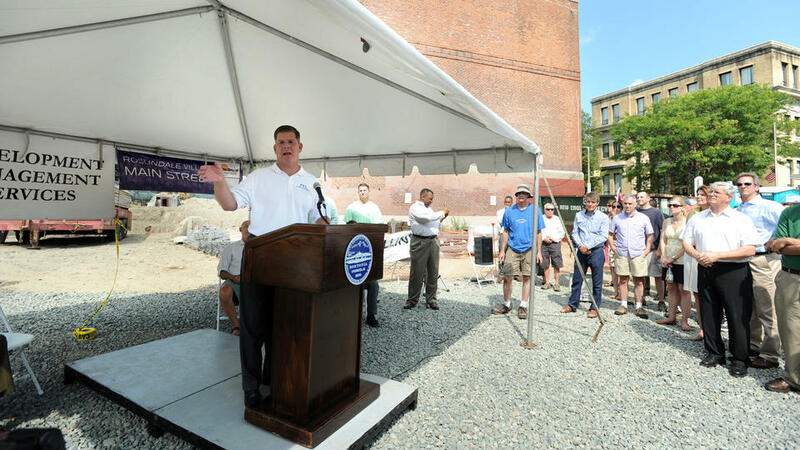 Officials broke ground yesterday on a Roslindale development that will transform an MBTA substation vacant for more than 40 years and add middle-class housing, a project Mayor Martin J. Walsh said offers an affordable alternative to the explosion of luxury housing in Boston. The Parkside on Adams will include those 43 housing studio, one-bedroom and two-bedroom units at the site of the former F.J. Higgins Funeral Home and the long-vacant and unused MBTA substation on Washington Street will be restored and house a 120-seat restaurant on its ground floor. “It’s going to be a wonderful, transforming event for our neighborhood,” said Steve Gag, president of Roslindale Village Main Streets. The City of Malden has struck a $9.8 million deal to sell City Hall and the neighboring police station to a private developer. A land disposition agreement to sell the 2.25-acre parcel at 200 Pleasant Street was announced by the office of Mayor Gary Christenson on Feb. 20. Relocation of City Hall has been a long-standing goal for many local officials, and the agreement requires the city to vacate by December of 2015. “This historical day has been a long time coming,” said Christenson, in a press release. 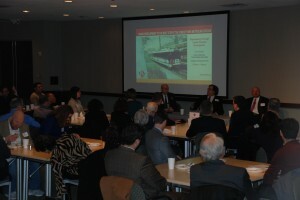 “The City Council and I are enthusiastically moving forward on the community’s goal of revitalizing the downtown. Redevelopment of the City Hall parcel was a key goal for Christenson upon taking office in 2012. A release from his office termed the disposition agreement “a significant milestone in the City’s efforts to revitalize Malden Square by demolishing the Government Center Building and Police Station to reopen Pleasant Street to through traffic. The deal is with Jefferson Apartment Group Development Company, a Virginia-based real estate firm with offices ranging from Boston to Florida. The Massachusetts Bay Transportation Authority is pleased to announce the Late Night Sponsorship program, a unique opportunity for a limited number of firms to show support for extended public transportation service in the core of Boston. Late Night T Sponsorship is a high profile community service opportunity which will improve Boston’s night time experience by providing patrons and workers worry-free, safe, affordable and convenient transportation. Your Sponsorship Advertising Will Get Noticed!